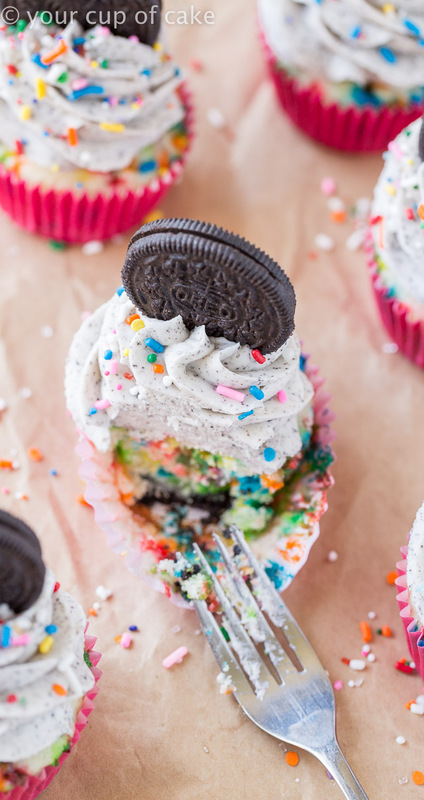 It’s always party time with these Oreo Funfetti Cupcakes stuffed with sprinkles and Oreo-goodness! 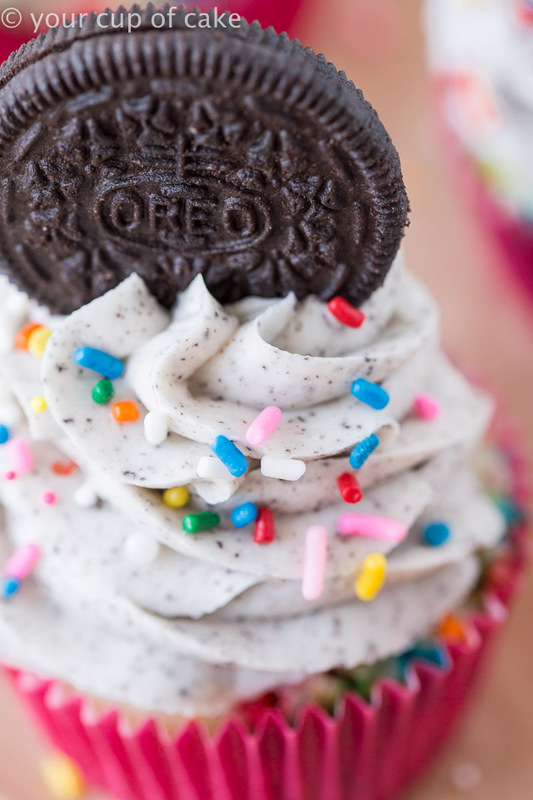 I even put an Oreo on the bottom for a little surprise! A Cupcake in the Oven- not mine! There are so many awesome things happening! I got married on Friday (I’m currently on my honeymoon, but don’t worry I wrote this the week before!) 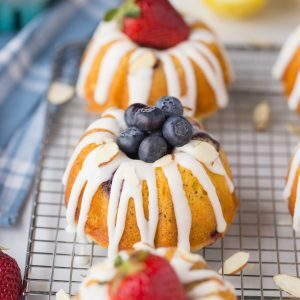 and Sally from Sally’s Baking Addiction is having a baby! 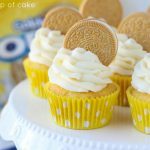 So this post is part of her virtual baby shower from a handful of us bloggers who just love and adore Sally! We decided to have a theme of sprinkles because sally has some incredible funfetti and sprinkle recipes over on her delicious blog! 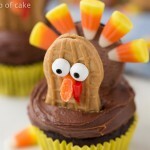 So of course I had to make a cupcake…. and what goes with everything? Oreos! So I sort of messed up… I used the wrong sprinkles inside the cake! Whoops. But it also didn’t really matter because they’re just so cute anyway. I meant to use nonpareils but grabbed the jimmies instead. The nonpareils just melt into the batter a little better, those are the little bead sprinkles! You can buy a little bottle for a buck at the grocery store so they’re nice and easy to find too. Can you see it? 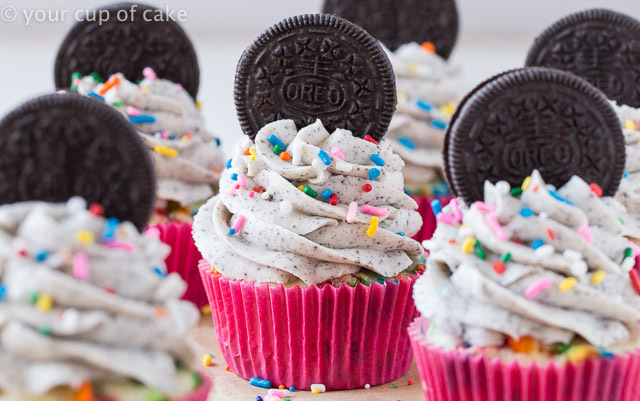 The Oreo I baked into the bottom of these cupcakes? 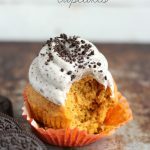 People love finding this at the bottom because they’re always so surprised and start telling the person next to them “There’s an Oreo in here!” It’s so much fun to watch them be amazed by a little cupcake. 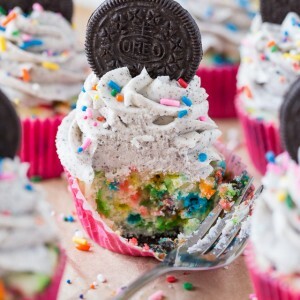 These cupcakes are perfect for any party because you can mix up the sprinkle colors, mix up the cupcake liner colors! You can make them perfect for a little girl’s party, a boy’s monster truck bash or even celebrate a team by using the team colors! 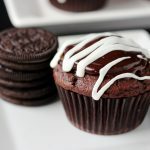 And everyone loves Oreos, so you’ll be the hit of the party with these. 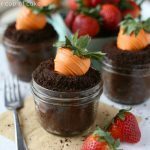 You know I love my cake mix recipes because they’re so fast, fool-proof and even come in gluten free and all natural varieties. 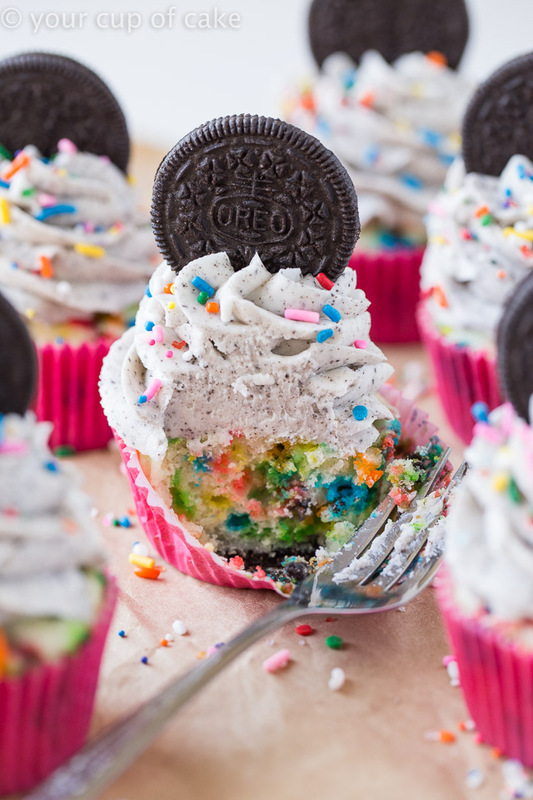 But I totally get that some people love scratch recipes so I included one of each for these Oreo Funfetti Cupcakes! 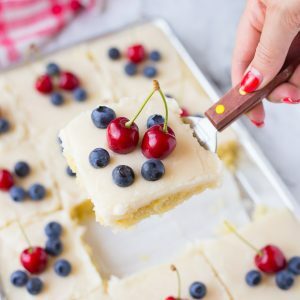 The trick with cakes from scratch in the mixing technique. Your batter should actually be fluffy! Room temperature eggs are a must and a huge reason why scratch batters don’t always turn out. Make sure to read my trick to getting room temperature eggs fast! 2. (Scratch Version) Sift cake flour, flour, baking powder and salt together in a bowl and set aside. 3. Combine sugar and butter ina stand mixer and beat until fluffy. Scrape down the sides of the bowl as needed. Add in eggs one by one and then add vanilla extract. 4. Add about half the dry ingredients to the sugar/egg mixture and then add in your milk. Add in the remaining half of dry ingredients and the sprinkles and mix until incorporated but try not to over mix. 5. 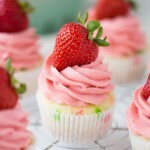 Fill cupcake liners 2/3 full and bake for 15-20 minutes or until an inserted toothpick comes out clean. 6. 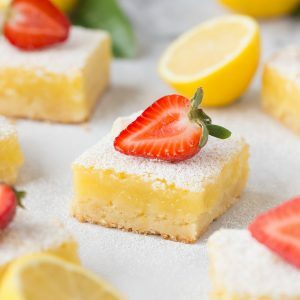 (Cake Mix Version) Combine cake mix, eggs, melted butter, sour cream and milk until smooth. 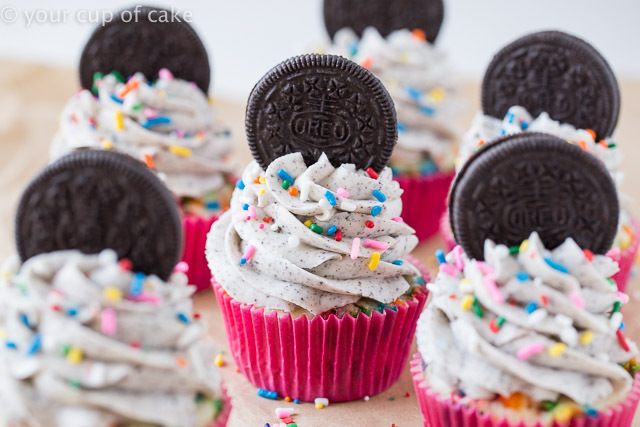 Stir in sprinkles and fill cupcake liners 3/4. Bake for 15-20 minutes or until an inserted toothpick coms out clean. 7. 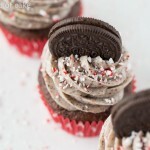 Oreo Buttercream: Finley crush your Oreos using a food processor, blender or rolling pin. 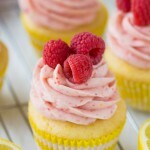 If you don't plan on piping your cupcakes then larger pieces work just fine! In a stand mixer, beat butter and cream cheese until smooth. Add vanilla extract and slowly add in powdered sugar until you reach your desired consistency. If it gets too thick, add a splash of milk. 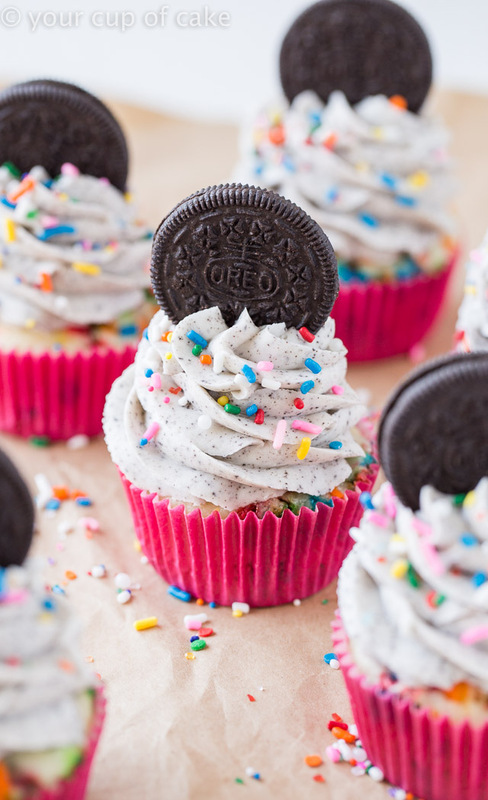 Fold in crushed Oreo pieces and then frost cooled cupcakes! You are the absolute best Lizzy, thank you so much! Now go enjoy your HONEYMOON! 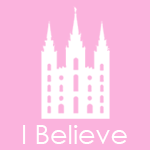 PS: Loved seeing the wedding pictures you posted. You are a stunningly beautiful bride! Thank you Sally! All us bloggers loved being able to do this for you! You inspire everyone in the blogging world! Thanks Lynn! I was so happy to be invited!